Last month, the residents of Yangon, Myanmar’s largest city, felt a strong bump in the night. Their national leaders in Naypyidaw, the country’s thinly populated capital, were also stirred from their sleep. A magnitude 6.0 earthquake struck between the two cities, in the early hours of January 12. The Southeast Asian country is well accustomed to earth tremors but there are fears that the catastrophe of a major earthquake would overwhelm Myanmar’s already thinly stretched government and undo the fragile development gains of recent years. Myanmar’s key cities, Yangon, Naypyidaw and the northern hub of Mandalay, all sit close to the Sagaing Fault, which bisects Myanmar from northern Kachin State, through the central Dry Zone, and into the Andaman Sea. In addition, the country’s west is rattled by the continued subduction of the Indian Plate beneath the Burma Platelet. In the eastern highlands the Kyaukkyan Fault was the source of Myanmar’s strongest recorded earthquake, measuring 8.0, in 1912. A network of more than 30 seismic monitoring stations, launched across Myanmar last year, picks up four to five minor earthquakes each day, according to the Earth Observatory of Singapore, which worked on the project.Big ones, exceeding 7.0, hit roughly once a decade, according to seismic data for the past 170 years. The Sagaing Fault exposes up to 10 million people to disaster and casts a shadow over the development of Yangon, the commercial capital. With rural to urban migration increasing, the government projects Yangon’s 5.2 million population to almost double by 2040. The city’s infrastructure, characterized by badly maintained British colonial relics and cheap modern blocks built over decades of regulatory chaos, struggles to cope even with day to day activity. According to geologists, the fault segment that exposes Yangon is due for a large quake. 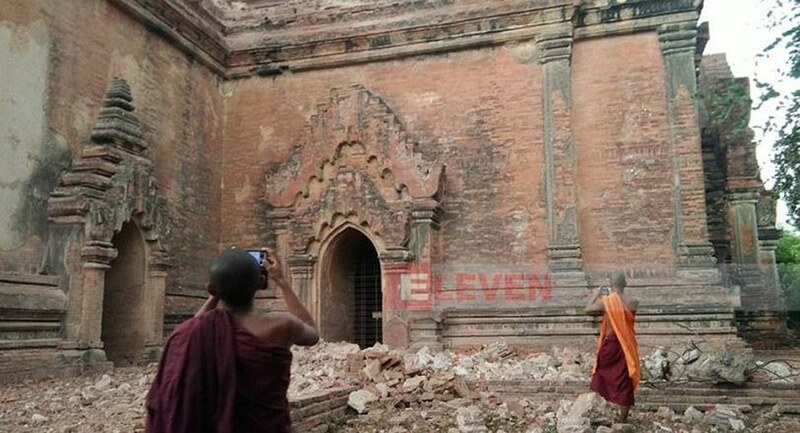 Professor Myo Thant, vice chair of the Myanmar Earthquake Committee, told VOA the recurrence interval for a 7.0-and-above earthquake is 80-100 years. The last one to strike the segment was in 1930, killing more than 550 people. But there are signs the government is becoming more aware of the threat. 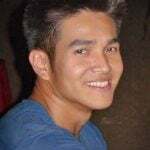 Myo Thant, and fellow Earthquake Committee vice chair Saw Htwe Zaw, an engineer, have been laboring for the past two decades to plot the country’s seismic risk, partnering with foreign universities and institutes as well as U.N.-Habitat, the United Nations’ urban division. Both told VOA they are encouraged by the high-level activity of recent months.This included a U.N.-assisted crisis-room simulation for the national and Mandalay Region governments on Feb. 1-2 in Naypyidaw. The table-top exercise was the first real-time test of the National Disaster Management Committee, chaired by Vice President Henry Van Thio, outlined in the 2013 Natural Disaster Management Law. A nearly $1 million project backed by the European Commission was launched in December to draw up an earthquake Preparedness and Response Plan and Resilience strategy, as well as rolling out earthquake education across vulnerable areas. In late January, two schools in Yangon’s outskirts conducted a tsunami evacuation drill as part of a regional, Japanese-funded program to address a threat directly linked to earthquakes. SEEDS Asia, a Japanese-registered organization that aided the exercise, has also been conducting workshops in schools in coastal Yangon and Ayeyarwady regions. 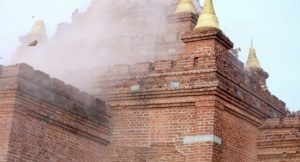 Myo Thant and Saw Htwe Zaw of the Earthquake Committee credited the response to the 6.8-strength Chauk earthquake in August 2016, which ravaged temples in the tourist site of Bagan in central Myanmar, with pushing earthquakes up the government’s agenda. “Sometimes these shocks are the best opportunities to build both government and public interest,” Yoko Okura, SEEDS Asia country representative, told VOA. Addressing Yangon’s neglected urban infrastructure has become a core priority, but safety standards conflict with government desires for big investment and a quick expansion of the housing stock. A new, earthquake-sensitive building code, overseen by engineers from the Earthquake Committee, was presented to the government last year.It has yet to be worked into law or even translated from English into Burmese, according to Saw Htwe Zaw, and it’s unclear when it will take effect. The code would provide a solid safety blueprint for planned expansions and satellite towns in Mandalay and Yangon, but it would do nothing for older buildings.Many in Yangon are in a state of ruin. The absence of a viable insurance market and a general lack of funds for costly repairs don’t help, neither do the Building Completion Certificates issued by the Yangon municipal government, which don’t require any later assessments, even on resale. But the Earthquake Committee has conducted earthquake risk assessments of several towns and cities, including Mandalay, and is now assessing Yangon, starting with a few townships, with a view to producing retrofitting guidelines.Meanwhile, the World Bank has agreed to fund the reinforcement of around a dozen public buildings in Yangon. 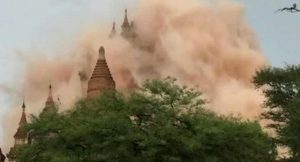 The unpredictable nature of earthquakes, and the lengthy intervals between major quakes, pose challenges to improving public awareness.”People forgot earthquakes easily,” said Myo Thant. By contrast, 2008’s Cyclone Nargis, said to have killed more than 138,000 people, is within recent memory, and its lingering effects of displacement and poverty remain visible. Myanmar’s internationally reviled military junta drew condemnation for its handling of Cyclone Nargis, by spurning an international relief effort while largely failing to stem the death and destruction for which the country was so badly prepared.But international humanitarian and development partnerships have evolved since limited democratic reforms began in 2011. Shashank Mishra, a program manager for U.N.-Habitat, told VOA the government has been very receptive to outside advice and assistance on natural disasters.”There’s a lot of momentum now,” said Mishra. But earthquake preparedness is starting from a very low base.A basic arrangement of ward-level assembly points and reinforced shelters stocked with provisions remains generally absent across Myanmar’s towns and cities. Saw Htwe Zaw admitted there is “still a long way to go” before the country catches up with the grave risks it faces.